Nab Your ALTA SPRINGBOARD Discount Before Time Runs Out! 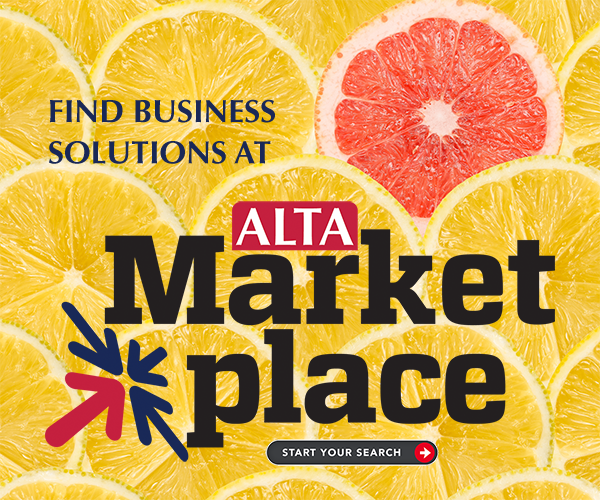 Now is the best time to put your business at the top of your to-do list and register for ALTA SPRINGBOARD before our Early Bird Pricing ends! Sign up by Saturday, Jan. 19 and save $50 off of your registration. And don’t miss your opportunity to stay with your friends: The ALTA SPRINGBOARD room blocks are going fast, so reserve your room today. ALTA SPRINGBOARD is special: At no other event will you find specific interactive outlets for initiating discussion with your peers on today’s most important topics relevant to the industry. Join us March 20-21 at The Peabody Hotel in Memphis to take your business to the next level.